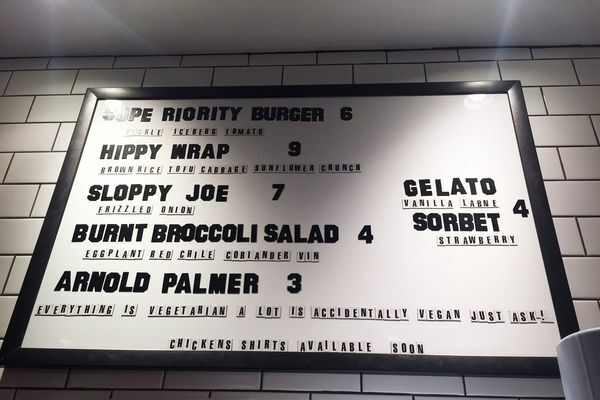 It’s been almost one year since Brooks Headley launched his Superiority Burger pop-up to much acclaim (and to hopelessly long lines), and now, he finally has a permanent space to sell his much-loved veggie burgers. After months and months of hype, last night’s opening of Superiority Burger turned out to actually be rather quiet: With no formal announcement, Headley just posted to Instagram and flung open the doors to the tiny former Dirt Candy space at 430 East 9th Street. Headley is offering only a few items on his menu, and each looks like a winner. 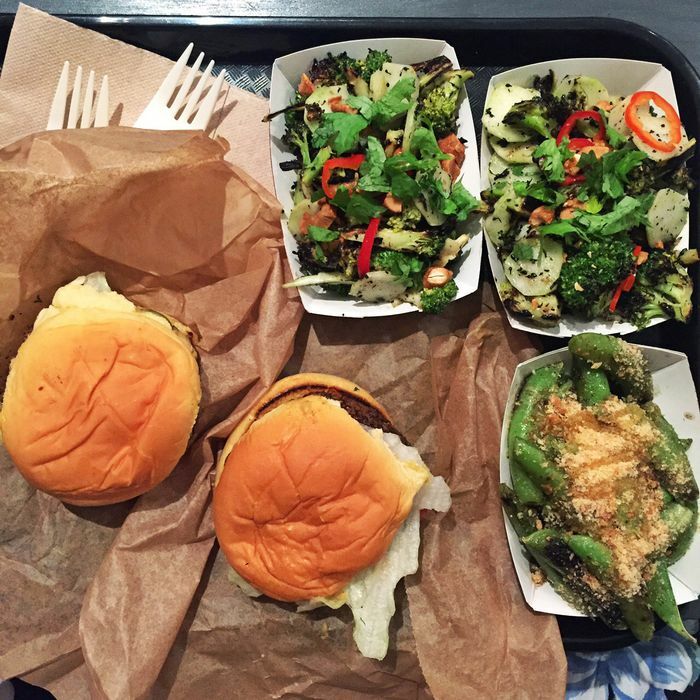 There’s the namesake quinoa-based burger — which New York’s Adam Platt called “perfectly weighted” — as well as a tofu “hippy wrap,” a sloppy-joe sandwich, a burnt-broccoli salad, and last night, a special of Rockaway snap peas with breadcrumbs. Headley’s also offering a classic Arnold Palmer to drink, and for dessert (Headley’s a pastry chef, after all), housemade gelato and sorbet — the current flavors are vanilla-labne and strawberry. He has redesigned the space so that it’s primarily a to-go operation, but there are also about six seats lining the walls. (And it’s worth it to hang around and stay, because Headley — a drummer — has the best playlists.) 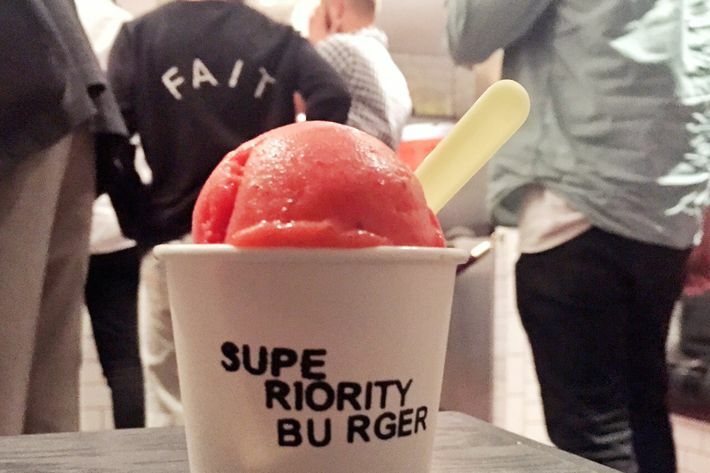 Superiority Burger opens again at 6 p.m. tonight, and hopefully lunch service will follow soon. There was no line last night, but now that word has spread, prepare for some Fuku-level crowds — and perhaps even a Helen Mirren spotting.